Welcome to my-borderline-personality-disorder.com. This website and all attendant Services are provided by DBT Path, LLC ((hereinafter referred to as “Healing From BPD” “Company”, “we” or “us”). By using this Website or Services, you represent and warrant that you are of legal age of majority in the jurisdiction in which you reside in order to use this Website or Services and to form a binding contract with the Company and meet all of the foregoing eligibility requirements, or that you have obtained express permission from a parent or guardian. If you do not meet all of these requirements, you must not access or use the Website or Services. You warrant that you understand that laws may vary by state or municipality, and as such you are responsible for compliance with all laws, regulations, and rules for all activities undertaken in your use of EmotionallySensitive and with other users of this Website or Services. Healing From BPD allows readers to access online blogs and psychoeducational materials. 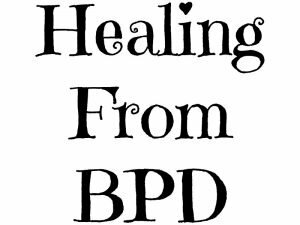 Content offered through Healing from BPD is intended for educational purposes, and are not a substitute for medical or psychiatric treatment. The Healing From BPD materials, as well as this Website, and their entire contents, features and functionality (including but not limited to all information, text, images, and the design, selection and arrangement thereof), are owned by us, and are protected by United States and international copyright, trademark, patent, trade secret and other intellectual property or proprietary rights laws. Modify copies of any materials from this site or provided through our Service. Use any illustrations, photographs, sequences or any graphics separately from the accompanying text. Delete or alter any copyright, trademark or other proprietary rights notices from copies of materials from the Website or Service. You must not access or use for any commercial purposes any part of the Website or our services or materials. By posting or otherwise delivering to us your User generated content, including comments and testimonials, you are expressly granting us a perpetual world-wide license to re-use such content. The Company name, DBT Path and all related names, logos, product and service names, designs and slogans are trademarks of the Company or its affiliates or licensors. You must not use such marks without the prior written permission of the Company. All other names, logos, product and service names, designs and slogans on this Website are the trademarks of their respective owners. In using this Website or through the use of any Services or features which may now exist or become a feature offered through the website; the following standards and acceptable use policy shall apply. Deliver any unlawful (according to local, state, federal, or international law or regulation) postings to or through this Heailng From BPD Site, or any postings which advocate illegal activity. Use this Healing From BPD service in any manner which could damage, disable, overburden, or impair or otherwise interfere with the use of this Healing From BPD Site or other users’ Devices, or cause damage, disruption or limit the functioning of any software, hardware, or telecommunications equipment. Obtain or attempt to obtain any materials or information through any means not intentionally made available through this Healing From BPD Site, including harvesting or otherwise collecting information about others such as email addresses. In some circumstances it is not possible for us to screen all content posted or delivered through this Website or attendant Services, and cannot ensure interception of objectionable material. Accordingly, we assume no liability for any action or inaction regarding transmissions, communications or content provided by any user or third party. We have no liability or responsibility to anyone for performance or nonperformance of the activities described in this section. Through Healing From BPD, DBT Path provides peer led psycho-educational materials. We do not provide counseling services. Our services are meant to be educational in nature. We do not warrant the accuracy, completeness or suitability of all information provided on the Website or Services. Any reliance you place on such information is strictly at your own risk. We disclaim all liability and responsibility arising from any reliance placed on such materials by users, or by anyone who may be informed of any of its contents. If you are seeking counseling services, it is recommended you seek outside counseling and, if needed, crisis support. We may update content on this Website or offerings of our Services from time to time, but its content is not necessarily complete or up-to-date. Any of the material on the Website may be out of date at any given time, and we are under no obligation to update such material. Through this Website or in the course of using our Services, you may be referred to or given access to websites, content, products or services provided by third parties. We refer to all such services and products as “Third-Party Oﬀerings.” If you elect to use s Third-Party Oﬀerings, you understand that your use will be subject to any terms and conditions required by the applicable third-party provider(s). You understand that we are not the provider of, and are not responsible for, any such Third-Party Offerings. These resources are provided to you as an informational service or for your convenience, and do not constitute an endorsement of their products or services. We have no control over Third Party services, and accept no responsibility for them or for any loss or damage that may arise from your use of them. If you decide to access any of the third party services linked or otherwise referenced, you do so entirely at your own risk. YOUR USE OF THE WEBSITE, ITS CONTENT AND ANY SERVICES OBTAINED THROUGH THE WEBSITE IS AT YOUR OWN RISK. THE WEBSITE, ITS CONTENT AND ANY SERVICES OR ITEMS OBTAINED THROUGH THE WEBSITE ARE PROVIDED ON AN “AS IS” AND “AS AVAILABLE” BASIS, WITHOUT ANY WARRANTIES OF ANY KIND, EITHER EXPRESS OR IMPLIED. NEITHER THE COMPANY NOR ANY PERSON ASSOCIATED WITH THE COMPANY MAKES ANY WARRANTY OR REPRESENTATION WITH RESPECT TO THE COMPLETENESS, SECURITY, RELIABILITY, QUALITY, ACCURACY OR AVAILABILITY OF THE WEBSITE. WITHOUT LIMITING THE FOREGOING, NEITHER THE COMPANY NOR ANYONE ASSOCIATED WITH THE COMPANY REPRESENTS OR WARRANTS THAT THE WEBSITE, ITS CONTENT OR ANY SERVICES OR ITEMS OBTAINED THROUGH THE WEBSITE WILL BE ACCURATE, RELIABLE, ERROR-FREE OR UNINTERRUPTED, THAT DEFECTS WILL BE CORRECTED, THAT OUR SITE OR THE SERVER THAT MAKES IT AVAILABLE ARE FREE OF VIRUSES OR OTHER HARMFUL COMPONENTS OR THAT THE WEBSITE OR ANY SERVICES OR ITEMS OBTAINED THROUGH THE WEBSITE WILL OTHERWISE MEET YOUR NEEDS OR EXPECTATIONS. You hereby release and discharge DBT Path, LLC, it’s oﬃcers, employees, agents, successors, and assigns, from all existing or potential disputes, claims, controversies, demands, obligations, liabilities, or any possible cause of action of any kind for all acts or omissions of EmotionallySensitive and attendant Services. IN NO EVENT WILL THE COMPANY, ITS AFFILIATES OR THEIR LICENSORS, SERVICE PROVIDERS, EMPLOYEES, AGENTS, OFFICERS OR DIRECTORS BE LIABLE FOR DAMAGES OF ANY KIND, UNDER ANY LEGAL THEORY, ARISING OUT OF OR IN CONNECTION WITH YOUR USE OF ANY SERVICES OR ITEMS OBTAINED THROUGH THE WEBSITE OR SERVICE, INCLUDING ANY DIRECT, INDIRECT, SPECIAL, INCIDENTAL, CONSEQUENTIAL OR PUNITIVE DAMAGES, INCLUDING BUT NOT LIMITED TO, PERSONAL INJURY, PAIN AND SUFFERING, EMOTIONAL DISTRESS, LOSS OF REVENUE, LOSS OF PROFITS, LOSS OF BUSINESS OR ANTICIPATED SAVINGS, LOSS OF USE, LOSS OF GOODWILL, LOSS OF DATA, AND WHETHER CAUSED BY TORT (INCLUDING NEGLIGENCE), BREACH OF CONTRACT OR OTHERWISE, EVEN IF FORESEEABLE. These Terms shall be governed by the laws of the State of California without giving eﬀect to any conflict of laws principles that may require the application of the law of another jurisdiction. Any action or proceeding relating to a claim or controversy at law or equity that arises out of or relates to these Terms or the Site or Services (a “claim”) must be brought in a federal or state court located in California, and each party irrevocably submits to the exclusive jurisdiction and venue of any such court in any such action or proceeding. Please read this entire disclaimer before using this Website, or relying on the content published within it. If you use the Website, we will assume that you have read and understand this disclaimer. The materials available at this Website are for informational purposes only and not for the purpose of providing legal advice, financial advice, business advice, or psychiatric, psychological or psychotherapeutic advice. You should contact an appropriate professional to obtain advice with respect to any particular issue or problem. Use of and access to this Website or any of the links contained within the Website do not create a legal, professional, fiduciary or other relationship between you and DBT Path, LLC. As with any business, your results may vary, and will be based on your individual capacity, business experience, expertise, and level of desire. There are no guarantees, promises, representations and/or assurances concerning the level of success you may experience. Results may vary by individual. Any examples, if presented in this Website or related course materials, are not to be interpreted as any guarantee, promise, representation and/or assurance of success. Your level of success in attaining the results claimed depends on the time you devote, your development efforts, the ideas and techniques mentioned, your finances, knowledge and various skills; since such skills and factors differ according to individuals. DBT Path, LLC is not responsible for your actions or omissions. The use of our information, products, and/or services, or anything else related to your development should be based on your own due diligence, which you undertake and confirm that you have carried out to your entire satisfaction. You agree that DBT Path, LLC is not liable for your success or failure of your business, acts and/or omissions that are directly or indirectly relating to DBT Path, LLC, this Website, and/or the purchase and use of our advice, products and/or services. Under no circumstances will DBT Path, LLC be held responsible or liable, directly or indirectly, for any loss or damage that is caused or alleged to have been caused to you in connection with your use of any advice, products and/or services you receive from DBT Path, LLC, or a guest speaker or author on the Website or at one of DBT Path, LLC’s classes. Thank you for visiting EmotionallySensitive.com. From third parties service providers such as Google, Twitter or Facebook. Information that you provide by filling in forms on our Website. This includes information provided at the time of registering to use our Website, or subscribing to use our services. You also may provide information to be published or displayed (hereinafter, “posted”) on public areas of the Website, or transmitted to other users of the Website or third parties (collectively, “User Contributions”). Your User Contributions are posted on and transmitted to others at your own risk. Although we limit access to certain pages, or you may set certain privacy settings for such information by logging into your account profile, please be aware that no security measures are perfect or impenetrable. Additionally, we cannot control the actions of other users of the Website with whom you may choose to share your User Contributions. Therefore, we cannot and do not guarantee that your User Contributions will not be viewed by unauthorized persons and we suggest that you use your judgment about the information you choose to share publicly. All processing of Personal Information is performed in accordance with the Regulations (EU) 2016/679 of the European Parliament and of the Council of 27 April 2016 on the protection of natural persons with regard to the processing of Personal Data and on the free movement of such data, known as the General Data Protection Regulation (GDPR). We may process your personal information for the purpose of operating our Website, providing our Services, ensuring the security of our Website and Services, maintaining back-ups of our databases and communications with you, and disclosure to third-party advertisers. In addition to the specific purposes for which we may process your personal data set out in this section, we may also process your personal information for compliance with a legal obligation to which we are subject, or in order to protect your vital interests or the vital interests of another natural person. (a) The right to confirmation as to whether or not we process your personal data and, where we do, access to the personal data, together with certain additional information. That additional information includes details of the purposes of the processing, the categories of personal data concerned and the recipients of the personal data. (b) The right to have any inaccurate personal data about you rectified and, taking into account the purposes of the processing, and to have any incomplete personal data about you completed. (c) The right to erasure of your personal information without undue delay in certain circumstances, such as where the personal information is longer necessary in relation to the purposes for which they were collected or otherwise processed; you withdraw consent to consent-based processing; or you object to the processing. (d) The right to restrict processing of your personal information in certain circumstances, such as when you contest the accuracy of the personal data; processing is unlawful but you oppose erasure; we no longer need the personal data for the purposes of our processing, but you require personal data for the establishment, exercise or defense of legal claims. (f) The right to receive your personal information from us if the legal basis for our processing of your personal information is consent or necessary for the performance of a contract to which you are a party. (g) The right to complain to a supervisory authority if you consider that our processing of your personal information infringes data protection laws. (h) The right to withdraw consent to our processing of your personal information if the legal basis for our processing of your personal information is consent. Disclosure of Your Information for Third-Party Advertising. If you do not want us to share your personal information with unaffiliated or non-agent third parties for promotional purposes, you can opt-out by logging into the Website and adjusting your user preferences in your account profile by checking or unchecking the relevant boxes or by sending us an e-mail stating your request to dbtpath [at] gmail.com . California Civil Code Section § 1798.83 permits users of our Website that are California residents to request certain information regarding our disclosure of personal information to third parties for their direct marketing purposes. To make such a request, please send an e-mail to dbtpath [at] gmail.com. We observe the Children’s Online Privacy Protection Act which prohibits the collection of personal information from children under 13. Use of our services is intended for parents and should not be used by anyone under the age of 13 without parental supervision.